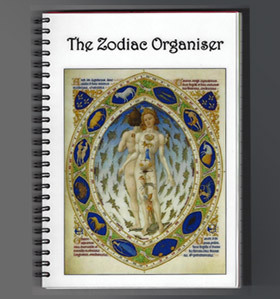 Keep all your ideas, plans, dreams and doodles together in this easy to use Zodiac Organiser. Divided into 12 sections, one for each sign of the zodiac, you will find a place for every aspect of your life. From Affirmations to Adventure, Gardening to Gift Ideas, Home to Health, there is a spot for everything. Best of all, it will be easy to find your notes again later when you need them.